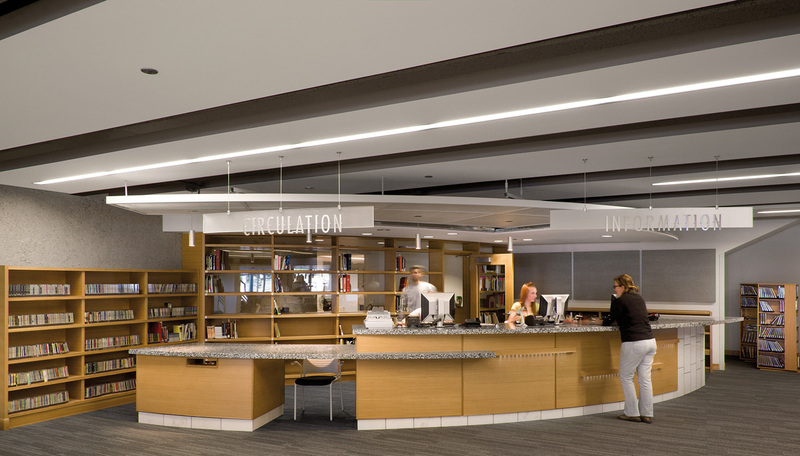 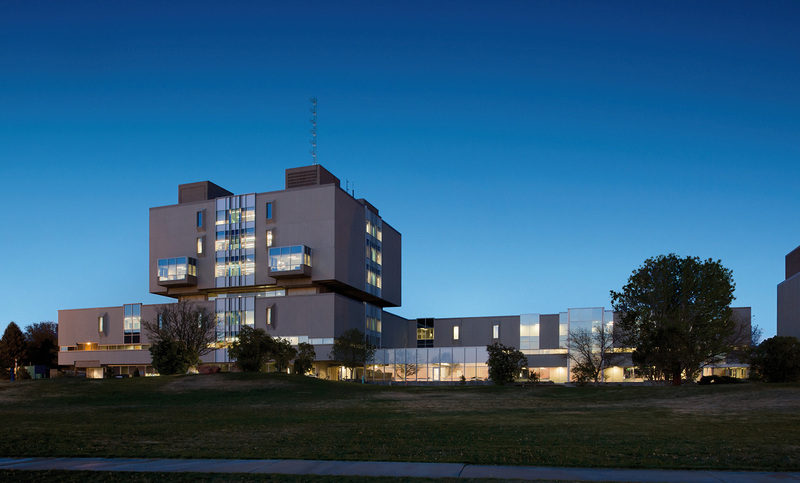 The modernization of, and addition to, the original seven-story library facility on the Pueblo campus of Colorado State University (CSU) provided the campus with an academic space that supports 21st-century learning. 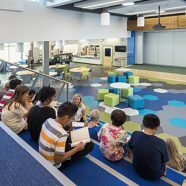 Built in 1962, the facility’s new design hosts gathering spaces for interaction and collaboration, a writing room, technology learning labs, project incubators and flexible spaces that allow the physical environment to change with programmatic needs. 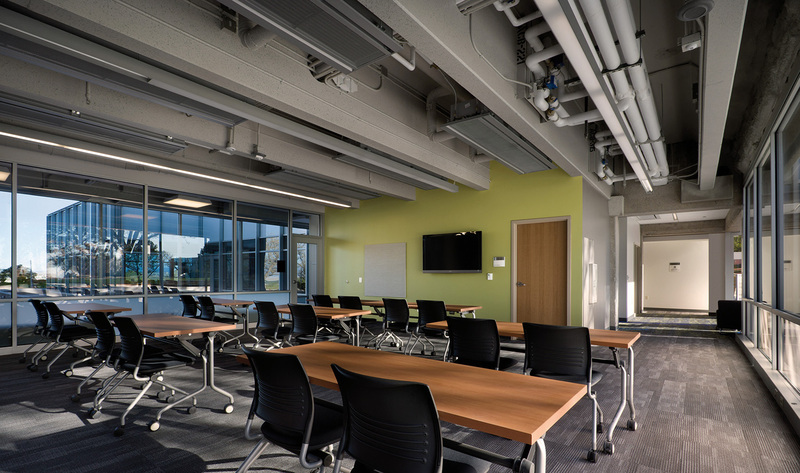 A highlight of the new facility is a special classroom intended for poetry readings and specialty classes. 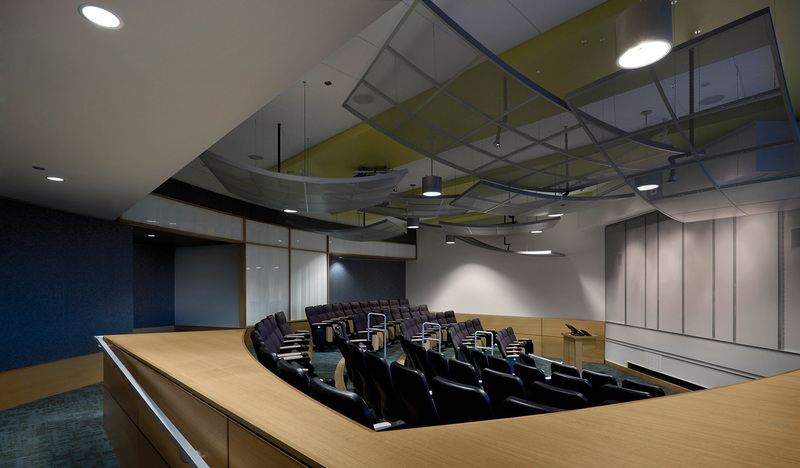 Whimsical curved panels reflect acoustics in the room, while glass panels add beauty and diffuse sound. 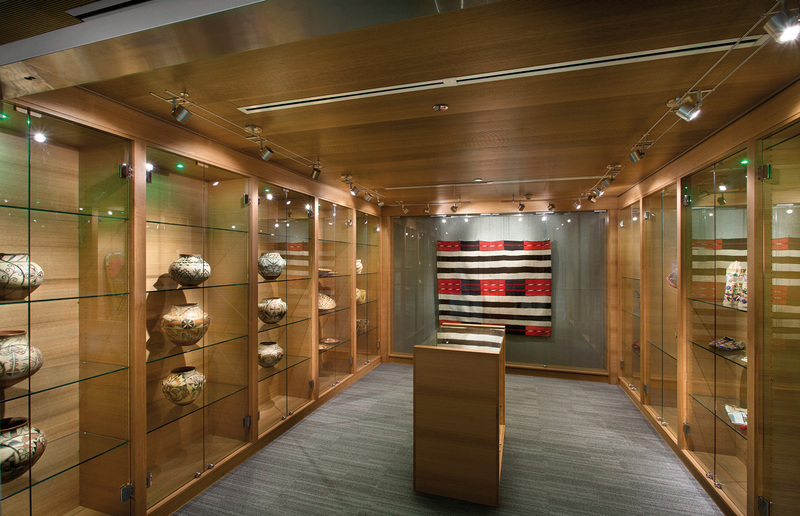 Woodwork in limited areas adds warmth. 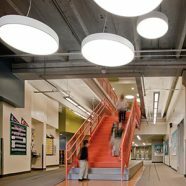 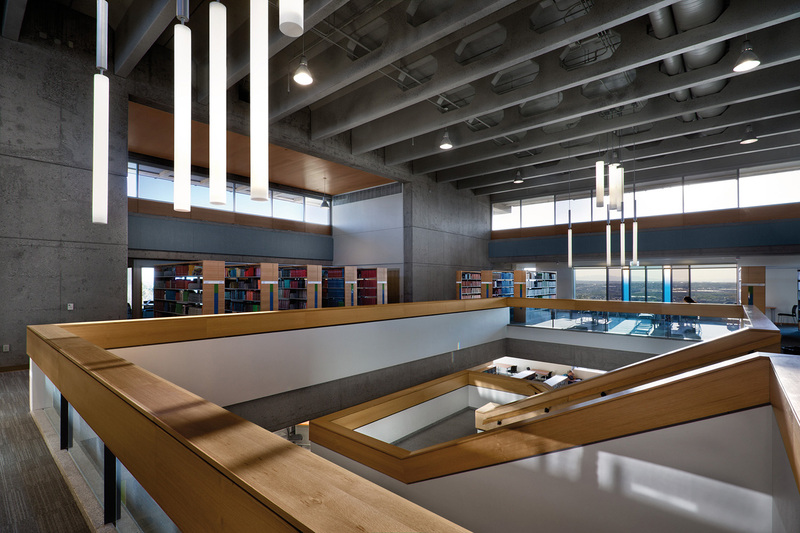 In addition to incorporating more modern design elements, the facility also focused on utilizing sustainable materials. 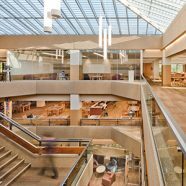 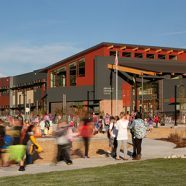 Thermal performance glazing, the removal of precast panels to help flood interior space with daylight while limiting solar gain loads and a chilled beam mechanical system allowed the building to achieve LEED Platinum certification. 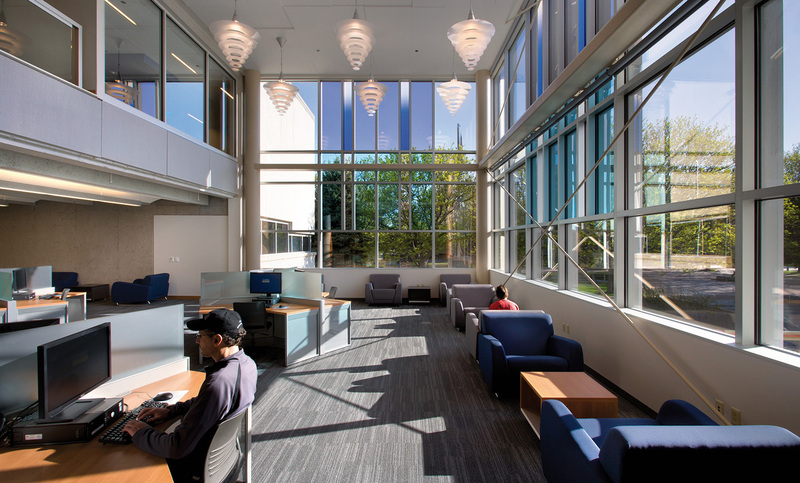 The chilled beam system, in particular, provides 43.5 percent energy savings over ASHRAE 90.1-2001, and 40% water use savings.